U-48800 is a research chemical of the opioid analgesic class of drugs. It is an analogue of U-47700 with one more methylene on the benzene ring. U-48800 appears to be white powder with the chemical formula C16H22Cl2N2O. 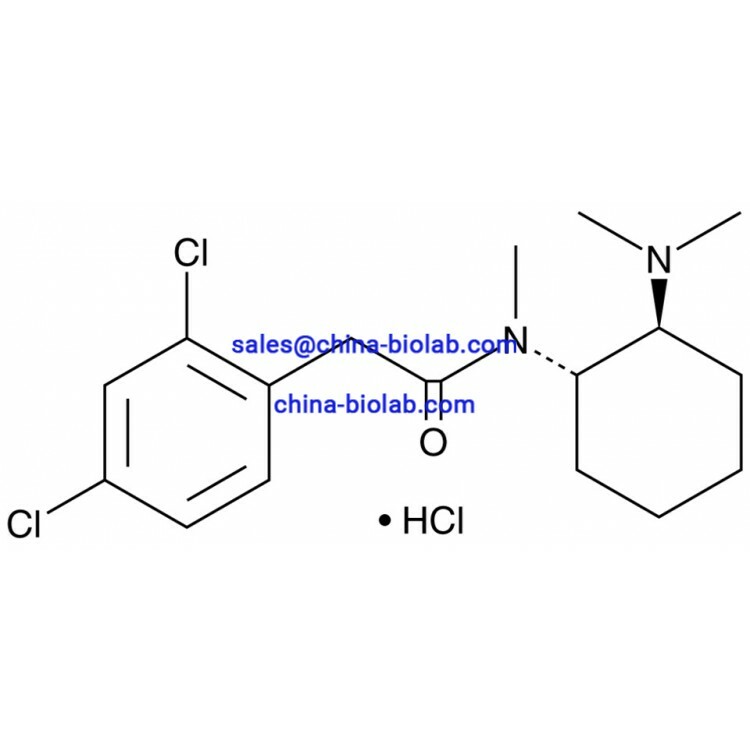 The IUPAC name of the substance is 3,4-Dichloro-N-[(1R,2R)-2-(dimethylamino)cyclohexyl]-N-methylbenzamide and the molecular weight of the compound is 329.27 g/mol. The purity of this designer drug is very high – over 99%. 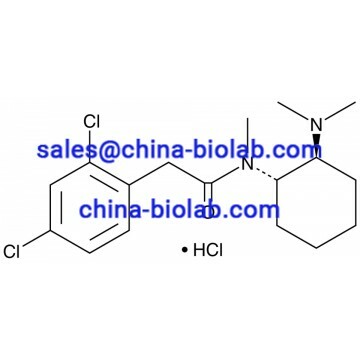 This is a novel chemical; U-48800 was created as a substitute for U-47700 with a little difference in its chemical structure, so it is not an easy task to find U-48800 for sale. 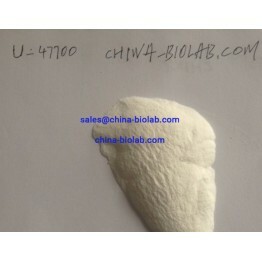 But you can definitely buy U-48800 on our website china-biolab.com. The drug is available in the form of powder. 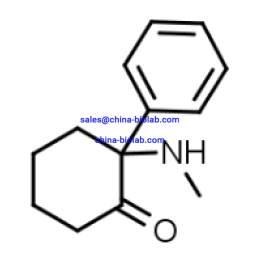 There are no analytical scientific references concerning physiological and toxicological properties of this research chemical. Hence, it may be dangerous for people and animals and must be used only in certificated laboratories for forensic or research aims. 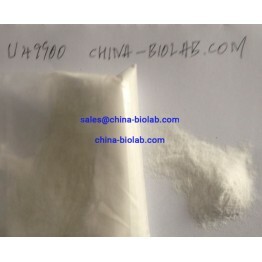 U-48800 belongs to opioid analgesics, hence its potential to forming dependence is very high. This research chemical can come under US Analogue Federal Act, because it is closely related to U-47700, which is a Schedule I drug in the United States. Therefore, you should make sure that it is legal in your country or region to buy U-48800 online. Using our website, you can order U-48800 online. We are ready to answer your questions concerning this product. Moreover, our company is a reliable supplier of research chemicals at the best price. We try to create the most convenient service for our customers, so we won`t make you wait for your package. You can always trust the quality of the drugs we sell, because the safety of our clients is our priority.